The Civil War has played a huge part in our history; and I often find that when talking about history with my children, it is looked at more like a fairy tale instead of something that really happened. It is hard for us as adults to grasp what life was like in the 1860's, so it is even harder for our children to understand. My children often talk about American history and seem to be very intrigued by the differences in lifestyle, but I do not think they understand what living in a non-fast food world would be like. While walking along the dusty roads towards Prairie Town at Conner Prairie, we approached a few signs stating the year we were about to enter. The signs then listed several different inventions that the people of prairie town lived without. As my children read the signs out loud for everyone, you could hear a gradual change of tone in their voice. Of course, this created great debate on how you could survive without such modern inventions. 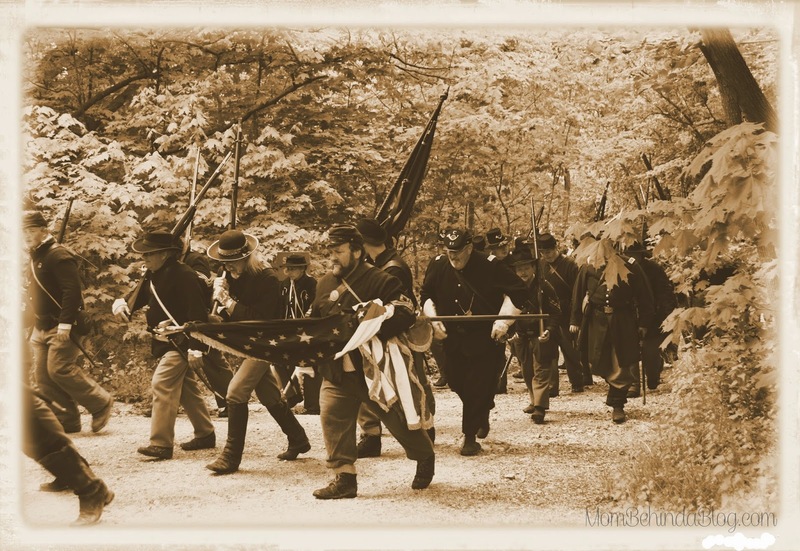 As we walked along the road, we stopped as the union soldiers made their way through the grounds to their camp, as if we were in the background of history actually happening. We strolled through the towns going from the school house to the general store watching young men sign up and be sworn in to fight the confederates. Children enjoyed hoop rolling and racing while soldiers rested along the fence cleaning their rifles. We also had the chance to meet President Lincoln! Conner Prairie's Abraham Lincoln was an amazing depiction of one of our most beloved presidents. 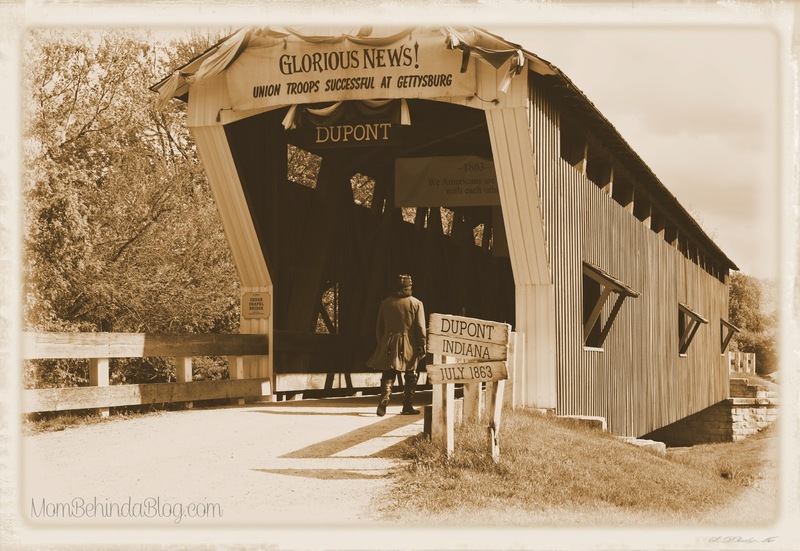 Entering the town of Dupont, Indiana of 1863 you'll notice the towns people are very alert and concerned about their small town and the safety of the people in it. In visiting the General Store, you are pulled into an interactive simulation allowing you to full on feel and understand the invasion of General Morgan and his raiders. While leaving the store you notice the destruction left by the Confederate raiders while encountering Union soldiers now setting up camp in the area. In leaving the small village and making our way toward the fields, a cannon erupted and the battle had begun. We watch from a distance the Union and Confederate soldiers standing their ground until finally the Union prevailed. Although my 1 and 3 year old enjoyed watching the horses and watching the cannon, it was my 2 oldest (10 and 9 years old) I enjoyed watching as they began to grasp a very large part of our history that had always seemed as a fairy tale to them. 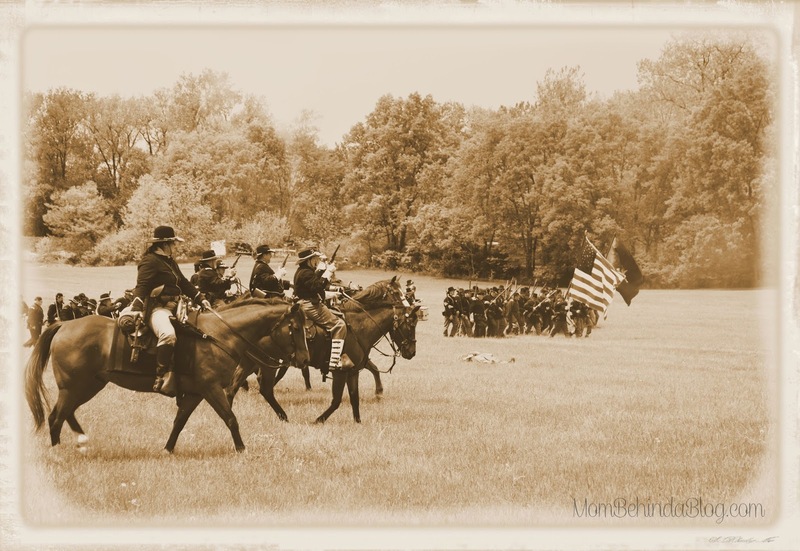 Conner Prairie's Civil War Days is like stepping back in time and watching history unfold before your eyes. One of the truest of live examples of what life was like for not only the men fighting in the war but the women and children they left behind to carry on in their absence. 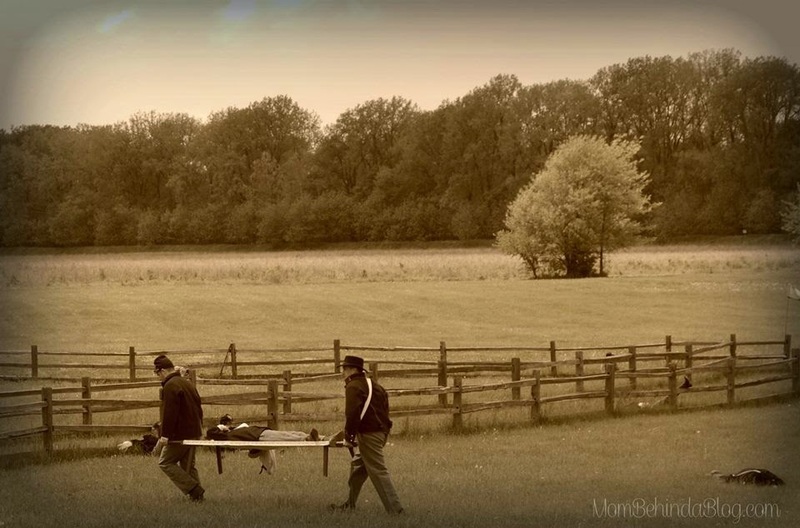 Learn more about Civil War Days at ConnerPrairie.org An event no one should miss out on! The Civil began in April of 1861 when Confederate warships bombarded Union soldiers at Fort Sumter and ended in April of 1865 when Robert E. Lee surrendered the last major army to Ulysses S. Grant. In just a mere 4 years we lost over 600,000 American lives. This is the most American lives lost in any other conflict/war. Roughly 300 women disguised themselves as men to fight in the war.